The 3rd largest smartphone manufacturer in the world, Huawei has officially unveiled its P20 lite in Pakistan. Debuting at an amazing price of PKR 35,999/-, the Huawei P20 lite is the new selfie superstar. This midrange smartphone that was globally released with P20, and P20 Pro last month, is an amalgamation of ecstatic design, superb dual back cameras, and other flagship Huawei features that give a power-packed performance – a signature of the HUAWEI P Series. “Continuous innovation is the essence of everything at Huawei. This is how we are able to surprise our consumers with groundbreaking devices. The HUAWEI P20 lite is another addition to our league of innovative devices which outperforms its world-renowned predecessor. 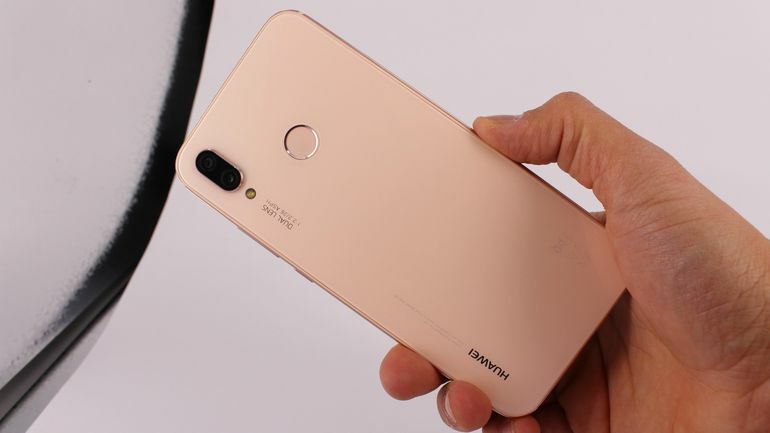 We’re proud to bring a new selfie superstar in Pakistan, which will truly become the country’s favorite midrange smartphone,” said Blueking Wang, Manager, Huawei Consumer Business Group. Huawei P20 Lite houses incredible technology in its exquisitely-designed body. People can truly indulge in a vivid display of color and top-notch graphics through its 5.84″ FullView Display 2.0 that gives a better and more comfortable viewing experience with high-resolution FHD+. The display screen with thin bezels and rounded glass panels offers a sleek and slim body with an extraordinary build quality and two unique color options: Klein Blue, and Midnight Black. The aviation-grade aluminum alloy is used on both the outside frame of the fingerprint sensor and the device’s mid-frame for comfortable grip and operation. The amazement doesn’t end here. HUAWEI P20 lite is powered by a 3,000 mAh battery (typical value) that supports 9V2A high-voltage Fast Charge 2.0, resulting in a 30-minute charge of up to 43%. Top that off with a superfluid performance of the all-new EMUI 8.0 coupled with a high-performance chipset, which uses AI to optimize speed and performance, even as the handset gets older. Moreover, a 4GB RAM and 64GB memory (expandable to 256GB) allows users to play games, listen to music and watch videos without worrying about memory or storage limitations. The device packs a real punch in the camera department. With 16MP + 2MP dual rear cameras, photography lovers are in for a treat! It gets even better with the 16MP front camera that captures more light using a unique technology (4-in-1 light fusion) that improves brightness. This makes taking selfies in dark places or at night very easy with results being clearer and sharper.The smartphone can intelligently recognize and adjust the lighting and shadow on the T-zone, cheekbones and nose areas for flattering and well-lit portraits. This feature is sure to excite youngsters who always want to look their best on social media. Will you buy the Huawei P20 Lite? Let us know in the comments below. Previous articleRaazi new song Dilbaro: Maestro Gulzar pens the inevitable pain of ‘Bidai’ in the form of this song!